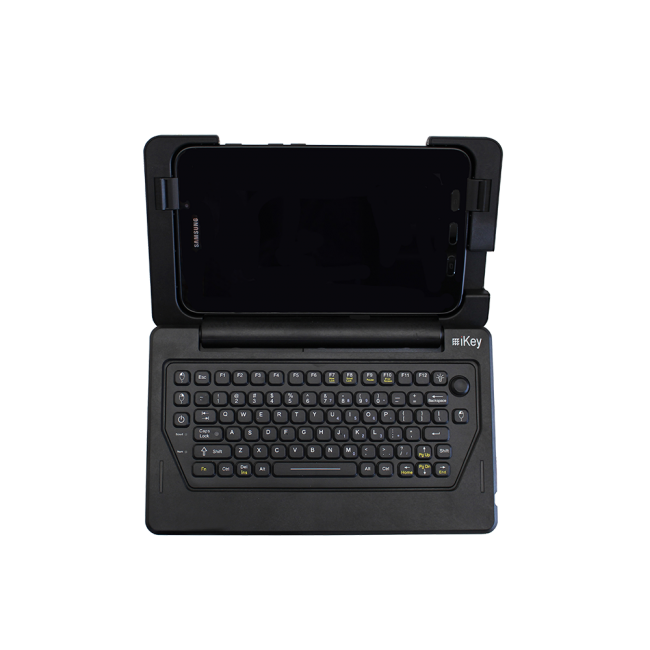 The iKey IK-SAM-AT keyboard is designed exclusively for the Samsung Galaxy Tab Active2 Rugged Tablet. 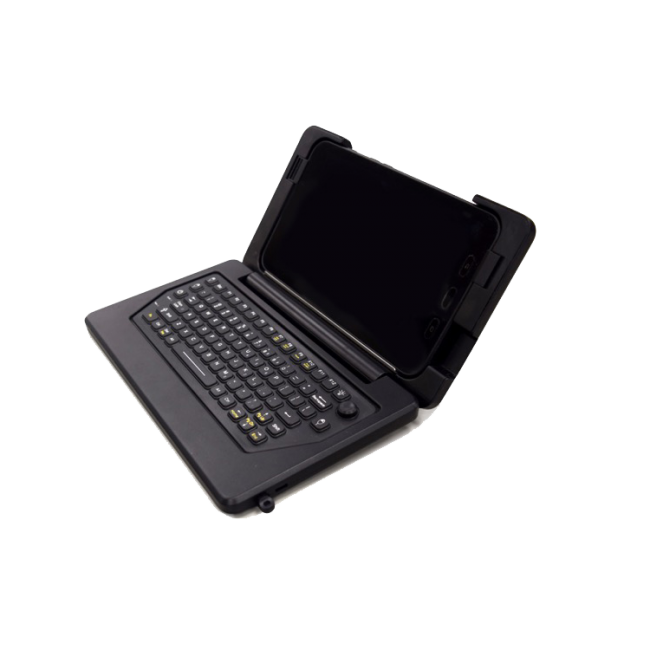 The rugged snap-on keyboard is designed to meet military specifications and IP54 standards The keyboard easily snaps into place, providing additional tablet protection as well as an excellent typing experience. 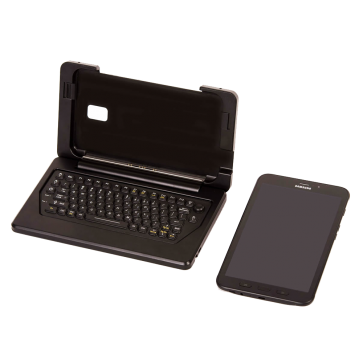 It also includes a USB-C Charging port for charging the tablet. 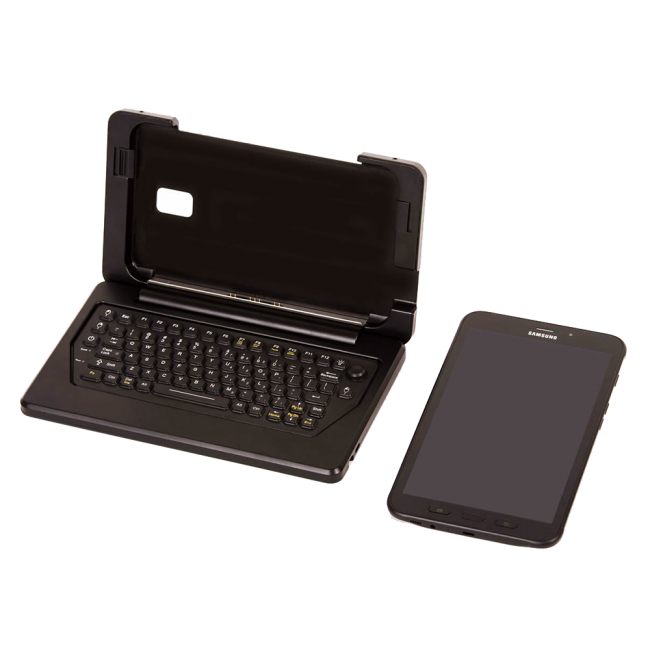 This keyboard’s unique ruggedness, along with its compact package, is perfect for a wide variety of applications including utilities, fleet, military, law enforcement, material handling, industrial applications, or any harsh use environment. 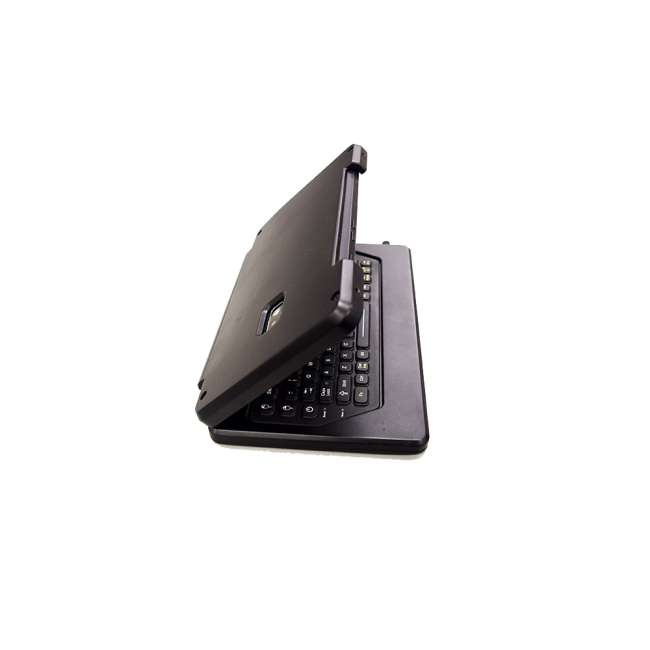 The Galaxy Tab Active2 helps accelerate the digital transformation of key industries by offering a wider range of features such as biometrics integration, multi-window screens and S Pen capabilities that function in extreme working conditions, ultimately improving worker productivity and flexibility. 10" x 6" x 1.125"
These are just some of the applications for the iKey IK-SAM-AT in various industries. The potential applications extend further than those shown above. 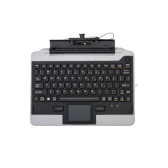 For further information about the iKey IK-SAM-AT Keyboard or to check if the product is suitable for you application, please contact us. To obtain service under this warranty, the warranty-eligible product, iKey IK-SAM-AT Keyboard, must be presented to FB Peripherals Limited in the UK.